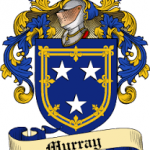 A recent query was put on Tydavnet website re Bernard Murray, Sheskin who emigrated to USA in 1905. Bernard was killed in a train accident a few years later, and his descendants were keen to find out more about their family tree. A fair bit of progress was made so it’s time to mention a few names who have been particularly helpful…. thanks to the following who have helped with research so far…. Janet Harshman, California (a phenomenal help, as usual); Nicola (Johnston) Cusack from Sheskin; Sean Corr – Enniskillen library; Sinead O’Reilly, Friends of Rossmore Park; and Mackie Rooney, Scotstown. The family would like to thank these people who have really given them a good starting point, as all they knew was that Bernard was probably from north Monaghan – firstly by identifying what townland he came from, and what family he had. So far, the family tree has been traced back to 1833, so that’s great progress. However, we have failed to find the burial grounds (probably in Urbleshanny), so if anyone can help with that it will be much appreciated. We look forward to the family making a first visit to Scotstown very soon. Thank again everyone!